You are here: Home / Yamaha Digital Pianos / Yamaha YDP-144 review: Better Than the YDP-143? 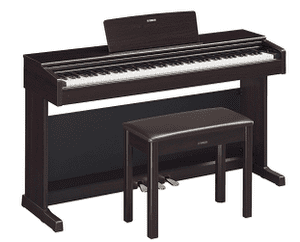 The Yamaha YDP-144 is one of the newer digital pianos to enter the popular Arius line. Replacing the well known Yamaha YDP-143, the YDP-144 aims to continue the success of its predecessor and add a few additional features to to entice potential new buyers. But does it live up to the hype? 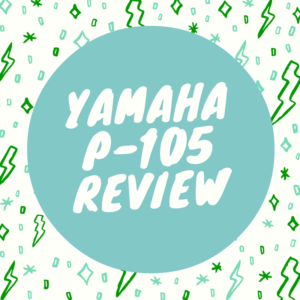 Well, in this article, we’re going to explore that question in depth, as this Yamaha YDP-144 review will cover everything you need to know about this digital piano. And, in order to better help you determine if this is the right piano for you, please use the interactive table below to compare the Yamaha YDP-144 to other notable pianos on the market. I think one of the things that the average person is most interested in knowing about (especially when comparing a new digital piano to it’s predecessor) is how well the new piano stands out in the sound department. And in this particular case, I think the Yamaha YDP-144 is pretty impressive. Now on the Yamaha YDP-143, the piano sound engine was a Pure CF sound engine, which included recordings of the Yamaha CFIIIS concert grand piano. On the Yamaha YDP-144, however, this has been upgraded to include the Yamaha CFX Grand Piano sound, which wasn’t available in the YDP-143. You’ll notice that the CFX Grand Piano has a beautiful sound that’s very rich and expressive. It’s a bold sound that truly sounds wonderful to the ear. 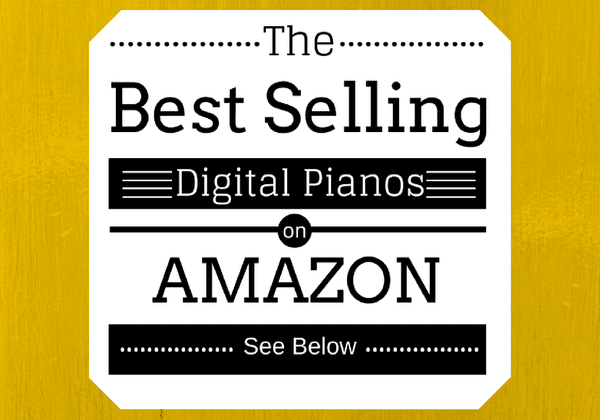 Below, please take a moment to view some of the best selling digital pianos available on Amazon, and then see how well they stack up to the YDP-144 as we progress throughout this article. To be fair, the Yamaha Arius YDP-144 doesn’t offer a whole lot in the way of sounds—but what is here is quite good. In addition to the Yamaha CFX Grand Piano sound, you also get a very nice Mellow Grand Piano sound. You’ll notice that this really gives off a beautiful, nostalgic and saccharine tone. If you like to play a lot of classical music, you’ll really enjoy what the Mellow Grand Piano sound has to offer. Next up with the Pop Grand Piano sound. This has a jazzier sensibility, and when played, you might find that it’s a sound you would otherwise associate with an artist like Billy Joel or Elton John. So if you ever want to play any of their music, or just create some enjoyable pop music on the YDP-144, this is the grand piano sound you’ll want to go with. That’s it for the acoustic piano voices—let’s move to a few other sounds you can expect to find on the YDP-144. Again, including the acoustic piano voices, you get 10 sounds in total. It’s not a massive amount of sounds, but it no doubt covers the basics of what you’d likely expect to find on a digital piano. On the YDP-144, you get 88 keys, and there is a matte finish on the surface of the black keys. This is a nice addition, because the finish on the keys will help to absorb any moisture. So, if you sweat (be it due to the warm environment or simply your nerves), you likely won’t have to worry about your fingers slipping off the keys. This piano features Graded Hammer Standard action, which to be quite honest, is the lowest action available by Yamaha. But that doesn’t mean it’s bad by any means. In fact, with GHS action, you’re going to get graded keys—meaning that the keys will feel heavier on the lower end of the keyboard and progress towards becoming lighter on the higher end of the keyboard. The purpose of making the keys inside a digital piano behave this way is because it’s attempting to replicate the feel of real hammers inside of an acoustic piano. When it comes to the polyphony count, not too much has changed. You get 192 notes of polyphony in the YDP-144, which is the same that came with the YDP-143. 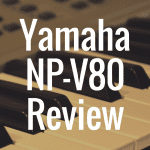 Despite the fact that some digital pianos (like the Yamaha YDP-184), for example, come with 256 notes of polyphony, you’ll find that 192 notes is more than adequate. You’ll likely not have to worry about your notes decaying too quickly as you begin playing more complex pieces—192 notes should be just fine. Another upgrade from the YDP-143 comes in the way of speakers and amplification. To put it simply, the YDP-144 is a bit more powerful when it comes to sound compared to its predecessor. The Yamaha YDP-143 featured a 6 watt speaker system (for a total of 12 watts, as there are two 12cm speakers). The YDP-144 improves on this a bit, as it includes an 8 watt speaker system (or 16 watts in total for both speakers). While the upgrade isn’t major, per se, it is indeed an upgrade and worth noting. Considering the Yamaha YDP-144 can retail for about $1100.00, it’s good to know that it comes with a few more additional features to really help you get a nice bang for your buck. One is the Stereophonic Optimizer. Now this feature is really great if you’re a pianist that finds him or herself practicing on the piano with headphones quite often. If that’s you, then the Stereophonic Optimizer is something you’ll probably appreciate. That’s because this features gives you the ability to make adjustments to the sound coming into your headphones. More than that, it really adjusts the spacing of the sound and the piano within the headphones. This helps give the sound a very immersive and almost surround sound-like quality. I think the goal of this feature is to really make you feel as if the sound is coming from the instrument itself, as opposed to coming directly into your ears from the headphones. In that way, I like to think of the Stereophonic Optimizer in a similar way that I look at sound bars for television. Some sound bars simply play sound, and others attempt to recreate the surround sound experience. I think the Stereophonic Optimizer is attempting to do the later, which is really great if you often wear headphones to prevent your friends or family members from being disturbed while you practice. Another thing you get here is Key Off Sampling. 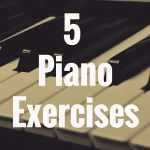 To be brief, this will help to recreate some of the nuances you might hear on an acoustic piano whenever a key is in the transition from being pressed down by your finger to being released. I love what the Smart Pianist app offers consumers, and so it’s great to see that you can use it with the Yamaha YDP-144. 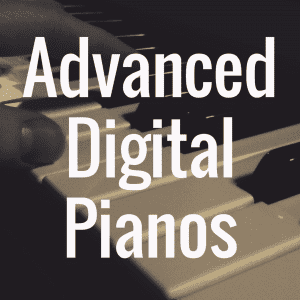 First, the Smart Pianist app works with the YDP-144 if you have an Apple iPhone or iPad. To connect it, use a camera adaptor kit and simply connect your iPad or phone to the side of your piano. Once you do that, the app allows you to control the entire piano via your cell phone or tablet. You can select voices, create recordings, and configure and save your settings as well. The app even has a feature called Chord Chart, which will analyze a song you love and display chord symbols on the screen. This then allows you to play alongside your favorite song. You also get more basic functionality in the Smart Pianist app, like Split and Layer. But, in case you cannot utilize this app, I think it’s important to quickly go over how you can Layer sounds on top of one another without the aid of a smart phone or iPad. To do that, you’re first going to want to hit the Voice button. Then, you’re going to need to select one of the keys in the second octave. Each key represents a different sound. So, to layer two sounds together, you’re going to need to press two keys simultaneously. Meaning, if one sound is on Key A and the other is on Key C, pushing these two keys down together will layer these two sounds. Therefore, whenever you go to play a note on the piano, you’ll now notice that both voices will play at the same time. Now despite the Yamaha YDP-164 costing more money than the YDP-144 (about $300 more, to be exact), there’s surprisingly not a lot that differentiates the two from one another. But there are indeed some differences, so I wanted to highlight them here so you’re able to make a fully informed opinion on both. The major differences when it comes to these two pianos is sound and power, as well as keyboard differences. Now the Yamaha YDP-164 features a 20 wattage speaker system (for a total of 40 watts, since the 164 has two speakers). By contrast, the YDP-144 features an 8 wattage speaker system (totaling 16 watts). The other noteworthy difference is in the key action. On the Yamaha YDP-144, you get GHS or Graded Hammer Standard action. And as I mentioned before, while this is a perfectly fine and well suited action, it’s the “lowest man on the totem pole” when it comes to key action in Yamaha pianos. The YDP-164, by contrast, features Graded Hammer Action 3, or a GH3 keyboard. Along with having graded keys, this keyboard also comes with a three sensor configuration that provides more control and authentic expression when you’re playing the notes. It’s also worth mentioning that you also get simulated Ebony and Ivory keys on the Yamaha YDP-164—the YDP-143 really only offers you matte black keys. Here, the YDP-164 is trying to go the additional mile of making it feel as if you’re one step closer to having the authentic wood keys you’d find on an acoustic piano. 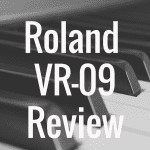 The Best Entry Level Digital Piano? So, you might be wondering whether the Yamaha YDP-144 is the best entry level piano on the market? Well, that’s tough to say. First, there are certainly cheaper digital pianos available—whether we’re talking about the Yamaha DGX-660, the Casio PX-160, or the Yamaha P-125. But if you want something that can look nice in your home—something with a black or white or rosewood finish (where you can see the wood grain in it), then you’re probably going to have to spend a bit more money. And this is where the Yamaha YDP-144 steps in. Because this certainly isn’t a cheap piano (about $1,110), but it’s also affordable enough and simple enough that a beginner could really enjoy his or her time on it. On top of that, you’re really getting very good sound amplification and key action on this piano. It’s a very good bang for your buck opportunity. I think that relative beginners can really grow with this piano, and even those with a bit more robust playing skills can also find a lot of enjoyment with it. 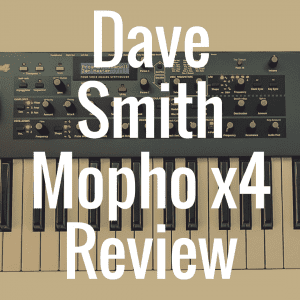 There’s always going to be better pianos on the market, but when it comes to one day upgrading from the YDP-144 to something more substantial, you might make that decision if you feel you’ve eventually outgrown the keys and the key action. In fact, if you become quite experienced on the YDP-144, you may yearn for actual wood keys—like you’d find in an acoustic piano. And if that’s the case, you may end up graduating to a piano that provides NWX action, or Natural Wood X keyboards. Keyboards such as these, which on top of having wood keys also feature an escapement mechanism, are found in Yamaha’s Clavinova line, such as the Yamaha CLP-545. The Yamaha YDP-144 is a very good digital piano that offers enough quality sound, feel, and features to put it atop the list of one of the 2019 best digital pianos for the money.